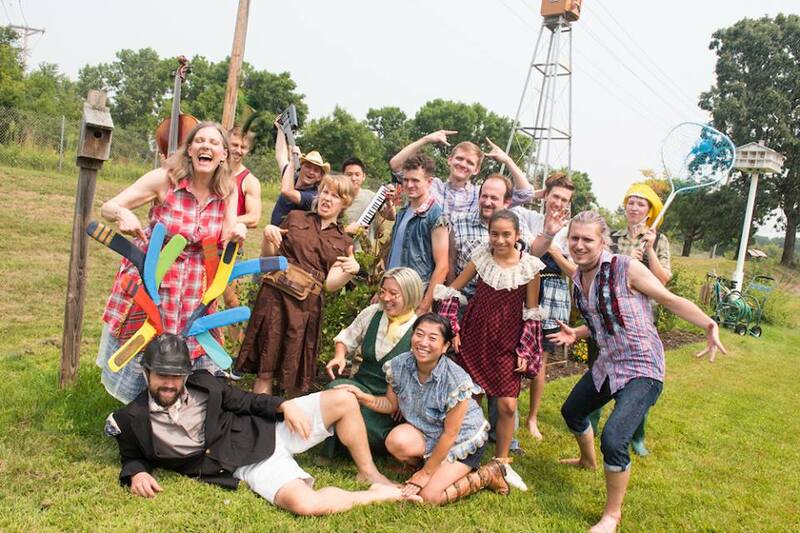 Our show places the silly characters of Shakespeare’s comedy alongside contemporary questions about industry, job creation, and the environmental impact of capitalism. Shakespeare’s The Merry Wives of Windsor takes place in a hunting village outside of London. Our version takes place on the North Shore of Lake Superior in a historic fishing community and mining town. Contaminated drinking water and a depleted fish population led to a decade of legal battles with fisherman, environmentalists and the mining industry. Bruce Springsteen’s classic anthems of working life and songs of love are perfect for the struggles of the time. We’ll look at the conflict of environmentalism and job creation with humor and dignity. Under director Kym Longhi, the cast is incredibly fun and playful, as must be in this outdoor setting where anything can and does happen. And they sound as good singing the classic opera (in German!) as they do the Springsteen classics. Music Director and arranger Gary Ruschman leads an eclectic five-piece band that can handle both styles of music. And even though this is a fun and silly show, the musicianship of everyone involved is impressive. And the food! Five small bites are served throughout the show, and are worked into the story with clever (or not so clever) puns, so that it's a cohesive part of the experience. All feature local produce and are delicious and creative (if you have dietary restrictions, ask about ingredients). My favorites were the sweet popcorn ball and the cocoa bites (like taconite remnants). Why doesn't all theater include people serving me food throughout the show?! Dr. Falstaff and the Working Wives of Lake County: A Picnic Operetta continues at gardens and parks throughout Minnesota through October 7. Click here for their full schedule and to find a location near you.